Pubs have had a rough ride over the last couple of decades. Alongside dealing with obstacles such as the recession and alcohol tax, competition has grown strong in the form of off-licences and the coffee shop revolution. 1. When is the right time? Considered an ‘institution under threat’ due to rising beer duty, declining alcohol consumption and increasing competition, is now really the right time to buy into the pub sector? There have been 21,000 pub closures in the UK since 1980, with over half taking place post-2006, according to a study by the Institute of Economic Affairs. Sadly, the industry has also seen a steep decline in the number of female publicans, dropping by 44 per cent in the last five years. This establishes an air of constant unsurety in the pub sector, whomever you may be - so are you willing to take the plunge to realise your publican dream? Times are shifting in the pub industry, and there is potential to make the most of it if you have the energy, creativity, and drive! 2. Am I the right kind of person to run a pub? 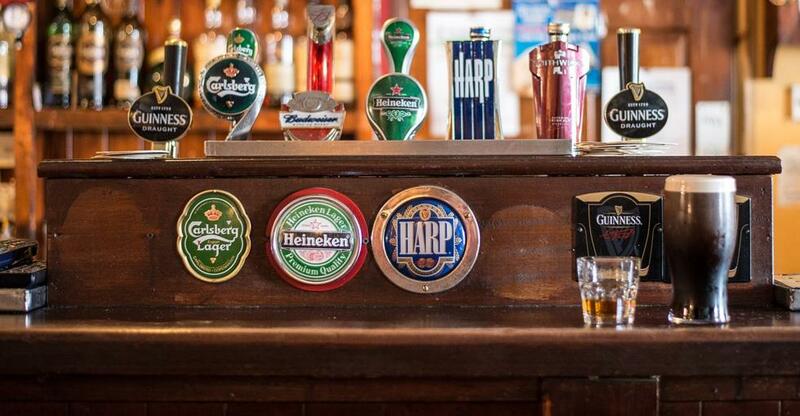 You should have some experience of working in a bar or pub before buying one. After all, you’ll be competing with other publicans who have a wealth of knowledge and experience. My ex-husband's father was a partner in a pub chain. I started out as a barmaid, worked my way through the ranks and ended up as a manager"
Additionally, with a pub you’re providing a service – so while you may feel rundown and tired, you’ll need to continue being upbeat and friendly to encourage repeat custom. 3. How does owning a pub work? There are three main ways to run a pub: via a tenancy, leasehold or freehold. If you decide to enter into a pub tenancy, you rent the pub for an agreed rent usually on a three-year rolling contract; enabling a rent review every three years. This review would be agreed with the pubco or brewery and if you wanted out, you would have to give notice. In this instance, you would either purchase it from an outgoing leaseholder or brewery if it’s a new lease. If you wanted to leave, you can do so after two years as they’re usually non-assignable for the first two. If you do decide to put the leasehold up for sale, and a purchaser is found, the pubco or brewery must agree before the sale can go ahead. There is much more freedom when purchasing a pub on a freehold basis – this giving you complete freedom and flexibilty in the running of your pub, from the beer you put on tap, to the style of fixures and fittings right to the colour you paint the walls. Buying a pub this way will also ensure that you will receive a greater slice of the turnover, as there is no pubco or brewery. It can be very difficult to buy a pub outright however, as a freehold pub usually costs between two and three times more than its turnover. You will also need around a third of the total price to purchase before any business financing from the bank or lender. 4. What licences do you need? Even when purchasing an existing venture, you will need a personal licence in order to sell alcohol for consumption on the premises. In order to gain this, you will need to attend a training course for one day on England and Wales licensing laws. If you’re looking to own a pub in Scotland, you will need to do the Scottish equivalent. All other legalities required should come up when you are undertaking your thorough due diligence of the pub you would like to buy. 5. What type of pub could I own? The style, theme, and the products offered in a pub should largely match its location. For instance, is it really a good idea to create a high-end gastro pub in a working-class suburb? What types of pubs are in the area already? What type of pub would they like to see in the area? What’s the average price of a pint? Your pub could be anything from the traditional country bolthole, to an alternative live music venue or chic gastro pub. Once you have made the decision, then you may be ready the start the journey to buying your own pub.